We talk to Karl Krantz, telepresence professional and founder of the Silicon Valley Virtual Reality meetup about Virtual Reality roots and it’s future. 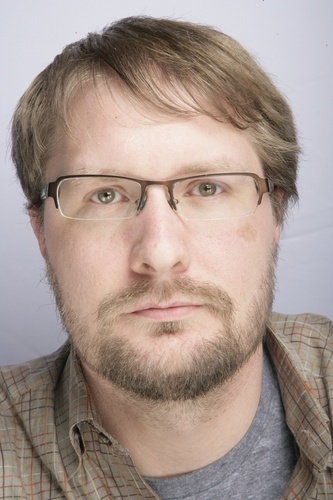 Karl Krantz is a long time virtual reality enthusiast. Like so many geeks in their 30-somethings, Karl believed VR would change the world… the first time around. Now that virtual reality is getting it’s second chance, he wants to spearhead the advance. Karl felt that the best way to do this was to try to gather a group of like minded individuals together in one of the archetypal cradles of modern technology, Silicon Valley. 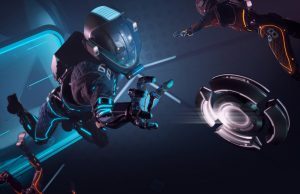 Now on its fourth iteration, SVVR has attracted some of the leading lights of the VR industry to both show and merely be present as spectators. 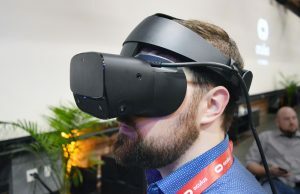 With VR Evangelist ‘Cymatic’ Bruce at his side, the movement is gaining momentum and has already seen it play host to technology reveals and announcements — even Oculus VP of Product Nate Mitchell attended the first meeting. Road to VR: Tell us a bit about yourself. Karl: Professionally, I have been developing telepresence systems for the past 15 or so years. Telepresence can have several meanings, but I am talking about purpose-built conferencing environments between multiple locations where the participants are life-sized, eye contact is maintained, and every effort is made to make the participants feel like they are present in the same room. I started in that industry as a networking and video codec specialist. I then moved into software development, interaction design, R&D, and most recently my focus has been user experience design. As I get older, I find the human elements of interacting with technology far more interesting than solving the technical problems. But virtual reality and virtual worlds have always been my true passions. Telepresence is interesting, but VR is going to change the world, and I’ve always believed that. 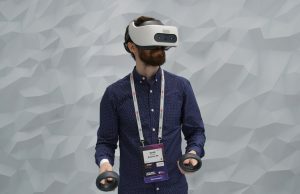 I’ve been looking for the right opportunity to make the jump from telepresence to virtual reality for a long time, and the emergence of consumer VR presents that opportunity. So now I’m trying to figure out how to best take the skills and experiences I’ve learned in years of working at telepresence startups, and apply that to this new field. I’m currently splitting my time between several startups, consulting work, and organizing SVVR (Silicon Valley Virtual Reality) activities. Road to VR: Chart your love affair with Virtual Reality over the years. Can you give us some example of historical highs and lows as you see them? Karl: I first became interested in virtual reality in the early 80s, probably about the same time I got my first computer, a Commodore 64. It always just seemed obvious that the ultimate use for a computer would be to create virtual worlds that I could experience. My love of science fiction definitely fed that. The book True Names by Vernor Vinge was an early VR book that had a big impact on me. 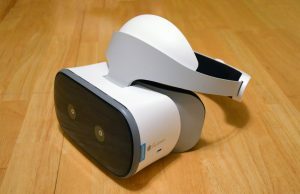 My interest in VR just grew from there along with my interest in computers. After reading about the work of Jaron Lanier in the late 80s, I was just totally hooked on VR. In high school in the late 80s and early 90s I got deep into the whole cyberpunk thing. I was always fascinated with the idea that worlds could exist in computers, especially any sort of multi-user environments. 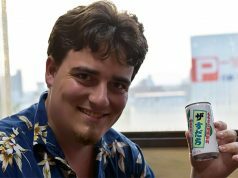 In those early days, it was a pretty radical idea that actual communities could exist on computer networks, but I was reading everything I could find about it. I was always following what was happening in various online community experiments going all the way back to Habitat on the Commodore 64, and later through virtual worlds like There and Second Life. I have always found something magical about these open-ended virtual worlds. The hype around VR in the early 90’s was very exciting, and I definitely drank the Kool-aid at the time. But in retrospect it should have been clear that the job was just too big for the technology of the day. I don’t think my own interest in VR and virtual worlds has ever really faltered, but some of the low points have been difficult. You start to feel like a crazy person when everyone else dismisses something that you know deep in your heart is going to be important someday. One of the nicest things about the renewed interest in VR sparked by the Oculus Rift is that I can actually find other people to talk to about this stuff again. Road to VR: What inspired you create the SVVR meetups? Why now? Karl: The release of the Oculus Rift was definitely the catalyst. 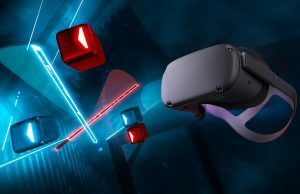 I was really excited about the Rift and it’s potential impact on VR, and I wanted to meet others who were just as excited about it. I was shocked that I couldn’t find a place to do that, even in Silicon Valley. I found a few people online who I became friends with, like Cymatic Bruce, but I there didn’t seem to be any physical home for this community. There were certainly groups and meetups that discussed VR from the academic or professional VR perspective. But I couldn’t relate what they were talking about to what I saw happening online. 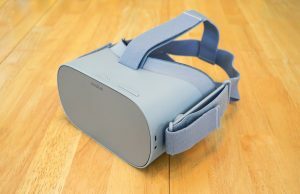 I was at one event where the Rift was mentioned and the VR industry professionals were dismissing it as a toy. This was like a textbook example from The Innovator’s Dilemma. Many people have done great work over the years in the professional VR space, and they have built some comfortable low-volume businesses. But as an industry, they haven’t innovated much over the past few decades, and they certainly haven’t brought the costs down enough to make this technology accessible to hackers and hobbyists. I realized that consumer VR was something new and very different. 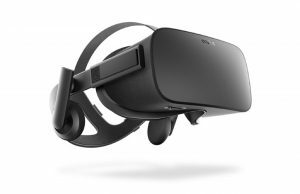 Affordable devices like the Oculus Rift are democratizing VR, and that’s when things get really interesting. True innovation in VR starts when it gets into the hands of hobbyist and hackers. I don’t know what it’s ultimately going to be called yet–consumer VR, home VR, DIY VR–but that’s the industry I want to work in. 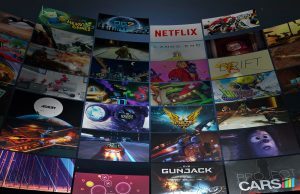 Oculus is building that industry, Sixense and others are helping to build that industry. I didn’t initially know how I wanted to contribute, but one thing I knew I could do immediately was to provide a home for that community here in Silicon Valley. 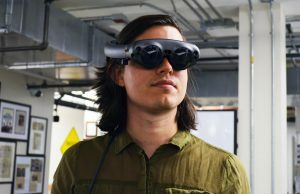 Southern California seems to be a hotbed of activity around consumer VR right now, but Silicon Valley and the Bay Area have a long history with VR, and obviously we have a really active startup culture. With SVVR I want to provide a place where developers, hackers, and entrepreneurs and can come together, find collaborators, discuss ideas, try each others projects, and help each other build the future of consumer VR. 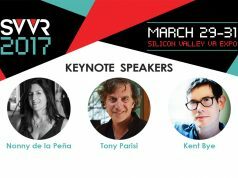 Road to VR: What were the challenges in organizing SVVR? What has the response been like from those you’ve reach out to? Karl: There have been some logistical challenges just because I have never organized something like this before, but I am learning as I go, and I think each event has been a little better than the last. Reaching out to speakers was hard for me at first because I’m a bit of an introvert, but I’ve actually been surprised at how many people have agreed to speak based on a short explanation of what I am trying to do. As we grow and get more press coverage online, it’s becoming easier to get speakers. Now when I email someone to invite them to speak, there is a good chance they have already heard of SVVR and they are happy to be involved. The biggest challenge so far has been finding a location that can support the size of the group, and our unique requirements. A portion of our events is set aside for “open demo time.” People can bring their PC’s, Rifts, and other hardware, and give demos of whatever they want. That requires lots of table space and plenty of power outlets. Many of the larger meeting and event spaces are setup for auditorium style seating, which is not ideal for us. We have a nice home now at Hacker Dojo, which is this great co-working space in Mountain View. But due to the size of the building, our events are limited to just under 100 people. So far we’ve had a waiting list for every event. It bothers me that some people want to come to our events and they can’t because of the waiting list, so I am always on the lookout for a larger space. 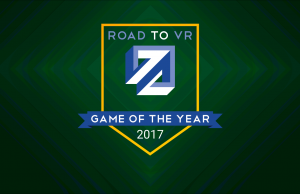 Road to VR: The meetup is still young, but can you give us some of your standout moments thus far? Karl: Right from the start I have been blown away by how many people come out for these events, how enthusiastic they have been, and the sense of energy around this technology right now. The first standout moment was right at the start when Nate Mitchell from Oculus flew up for our very first event. We didn’t know he was coming, he just showed up. It just goes to show how much Oculus cares about their community of developers. It was a huge vote of confidence for us, and I am very grateful to Nate, who also turns out to be a super-nice guy. Another one of my favorite moments was when Philip Rosedale spoke to the group about his new VR project, High Fidelity. Philip is the creator of Second Life, and he has personally done more to help create the metaverse than just about anyone. Second Life has had a huge impact on me over the years, and it’s really shaped my own thinking about the importance of the social aspect of virtual worlds. Having Philip even attend an event I organized was awesome, and when he agree to speak after we had some last minute cancellations, I was honored. Philip thinks very big, and I can’t wait to see where he takes this new project. 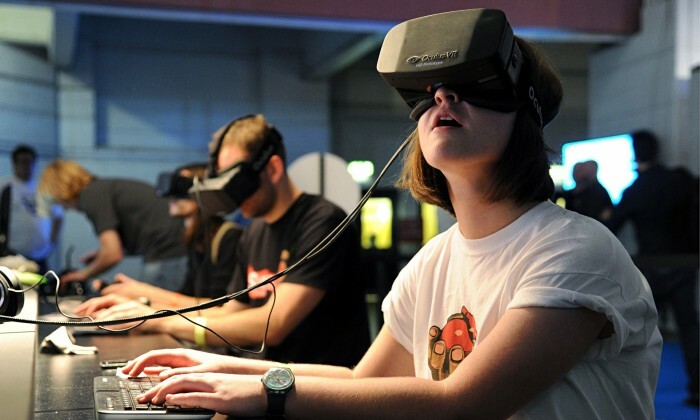 Road to VR: These meetups must be incredible potential melting pots for the industry. Have you witnessed any green shoots of developments formed at the meets? Any you can share? Karl: Melting pot is definitely an accurate way of putting it. We have people from so many different areas of interest coming together at these events. There are programmers, game designers, architects, 3D modelers, interaction designers, hardware hackers, along with some long-time VR pioneers. We have people from aerospace, 3d printing, computer vision, medical and therapeutic fields. There were several doctors at the last event. People who are passionate about VR seem to be a self-selecting group of open-minded, incredibly optimistic people. They are spread across many different areas professionally, but they are trying to figure out how they can work together, and I think that is a recipe for magic. I’ve had members tell me they’ve made great professional contacts, and even found paying work through the meetups. That makes me really happy. A lot of people are really passionate about VR right now, but their professional careers are in adjacent or even unrelated fields. Providing an environment where some of those people can find work they are truly passionate about seems like a very worthy goal. It’s still early, so I can’t say we’ve had any successful companies form from within the group yet, but people are definitely talking, and they are starting to collaborate. People within the group are starting create things, and it’s really interesting to see these projects evolve from one event to the next. I think we are also starting to have an impact on some products. Sixense has been attending and participating in our events from the start, by showing us prototypes and asking for feedback. 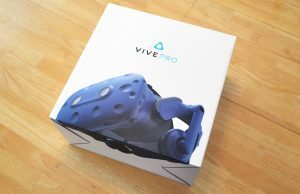 It’s been a great way for them to get to gain a better understanding of this new consumer VR market, and for their customers to talk directly to the people developing the hardware they are using. I think we’ve had our fair share of influence on the new wireless controller they are developing, and it’s been fun to watch it evolve based on our feedback. Road to VR: You clearly believe VR has a future (again). Where do you see the industry in 5 years time? Karl: It’s hard to forecast how far we will get in 5 years, but I think pretty far. 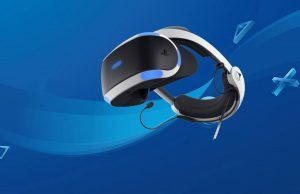 That’s certainly enough time for VR to turn the whole gaming industry upside down, and to make some real inroads into other forms of entertainment. But games and entertainment are really just the beginning. Disruptive technologies always take longer than expected in the short term, and have a bigger impact than can be imagined in the long term. In 5 years we will probably still be in mid-disruption. The more interesting question is where this stuff will go in 10 or 20 years. I don’t believe it’s possible to overstate the impact that VR will have in the long term. There is really nothing more powerful than a set of technologies that offers people direct control over the inputs to their own brains. It may start with HMDs and head tracking, but it will just keep improving from there until we are directly interfacing with our nervous systems. VR really has unlimited potential. To be able to hack our own realities? It’s very deep. VR will let people separate the mind from the body, and both from geography. You can go anywhere, do anything, be anyone, and be with anyone. We can inhabit any world we can dream of, and have it feel real. Society will never be the same, and humanity will never be the same. There is a famous quote attributed to Alexander Graham Bell just after he invented the first telephone. “‘I truly believe that one day, every town in America will have a telephone.” Of course people thought this was ridiculous, and that he was delusional. VR is like that, and any predictions about the future impact of VR are likely to suffer from miscalculations of that magnitude. It’s just impossible to truly grasp how big of an impact VR will have from our current world-view. Ultimately, I think VR could have a bigger impact on human history than the printing press. VR will give us the ability to design, package, and share actual experiences down to the finest detail, and that’s probably on par with the invention of written language. Road to VR: What’s the greatest challenges for VR mass adoption and mass market appeal as you see them? Karl: I don’t think anything can prevent the eventual mass adoption of VR at this point. VR was essentially locked-up because it wasn’t accessible. The Oculus Rift basically freed VR by making it affordable, and that was the inflection point. Now the cat is out of the bag. For the very first time, VR is cheap enough that hackers and enthusiast can experiment, play with it, and incrementally improve on it. Even though it’s far from perfect now, it will slowly and steadily get better from here on out. And when it’s finally good enough and easy enough for the general public, it will take off in a massive way. I don’t think there is any putting this genie back in the bottle at this point. 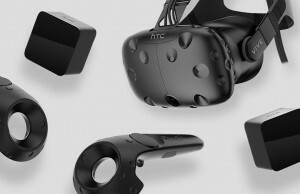 There will certainly be challenges as VR takes off. We will need to learn how to live with such a powerful technology as individuals, and as a society. Some people will get addicted, and some people will become physically and emotionally unhealthy as a result of too much VR. But ultimate we will learn how to get more good from it than bad. VR offers so much potential to so many people. It’s going to be such a creative medium, and the adoption of VR is going to really open our eyes as a society. We will adapt to it and I hope we will be happier and better because of it. 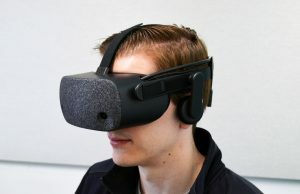 My biggest concern regarding the mass adoption of VR is that some important aspect of VR could get locked-up in a walled garden behind patents or licensing restrictions. Because VR is so powerful and has the potential to impact so many areas of our lives, something like that could be extremely bad for our personal, creative, and political freedoms. With every new technology we have have opportunities to gain new freedoms, or to loose the freedoms we already have. VR is no different, but the stakes could be very high. Karl: VR experiences are fun right now, but they won’t truly see their potential until they become social. We go back to a place again and again because of the relationships we build with the people in those places. Multi-user and social virtual worlds are where VR is really going to shine. In VR, the sense of presence can be very real. Not just the sense of being present somewhere yourself, but that unmistakable sense of another person being there with you. It’s intense, it’s intimate, and there is no other technology that can offer that. I am a supporter of the VirtuaView campaign and I certainly look forward to seeing where that goes. I am also really excited about MetaCraft right now. and I’m looking forward to Rift support in Second Life and OpenSim, as well upcoming virtual world projects like High Fidelity. Just keeping up with all the exciting innovations is going to keep all of us very busy for the next few years. 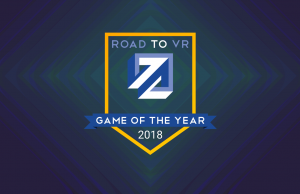 Road to VR: Do you have any plans to extend the SVVR into a worldwide ‘franchise’ to spread the VR love across the globe? Perhaps with online linkups between the different groups? 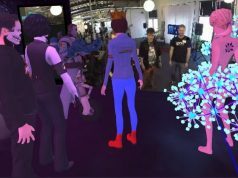 Karl: I have started reaching out to the organizers of other VR meetups around the world, and some have reached out to me as well. I am very open to sharing speakers, contacts, tips or anything else I’ve learned about organizing VR meetups. I have also been asked to speak at other VR meetups, which is something I’d like to do more of when my schedule allows for it. Synchronized meetups might be interesting, and if that ever makes sense from a timezone perspective, I am happy to try it. I think it can only be beneficial to connect our different communities together. 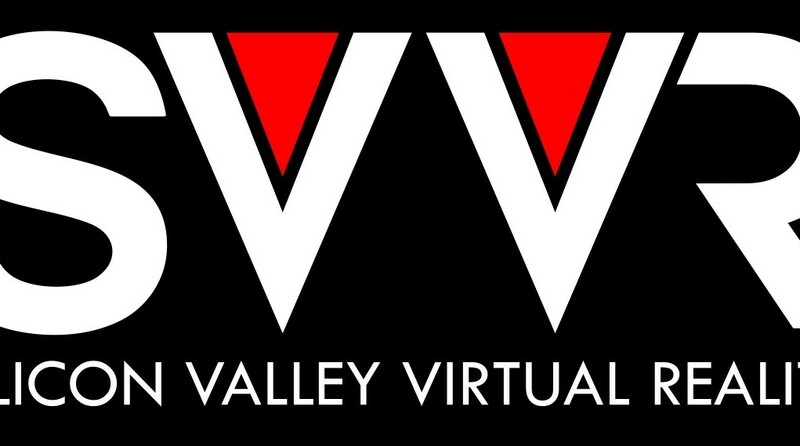 As for my plans for SVVR, we are building a very strong community and there are a lot of interesting projects coming out of this group. The monthly meetups are the backbone, but you can certainly expect more from SVVR in the future. Road to VR: Finally, is it true that if you spend just 10 minutes in Cymatic Bruce’s presence you become 10% more awesome? Karl: I hope so. I love Bruce, and I think he is the perfect evangelist for VR. His excitement and energy are contagious, and he is a genuinely kind person. As a community, we are very lucky to have people like Bruce. Many thanks to Karl for priding such excellent answer to our questions. We wish the SVVR movement the best of luck and hope we get the opportunity to witness it ourslelves before too long. For more details on the past and future meetups, head over to their website here. A UK Meetup would be great and first I think. Whereabouts are you Wormslayer? Wow. Just wow. Thank you for sharing such an intricate an diverse perspective Karl! My only gripe; I desperately want to be able to watch the monthly meetups online! Via YouTube, twitch or whatever, I feel that it’s such a loss for the far flung world wide VR community to miss an opportunity to peek into this melting-pot of ideas. Thank you for all the hard work and I hope SVVR continues to spread like wildfire.